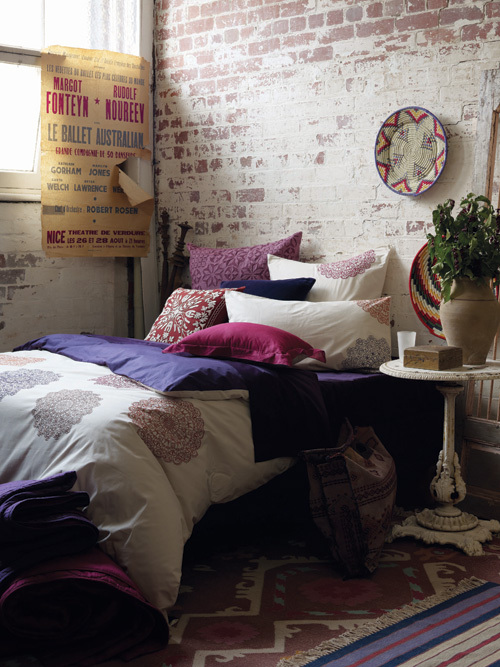 I have some brand new bedding for Autumn to share from Aura by Tracie Ellis, a Melbourne-based interiors brand that I have fallen in love with over the months due to their sumptuous bedding. 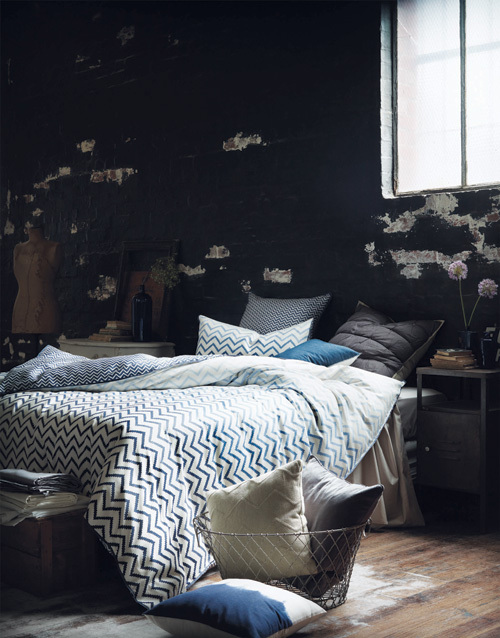 I did a double take the moment I saw the Autumn "Ankita" bed linen collection, especially the chevron duvet shown below - I want, want, want that! Ankita is an ancient Sanskrit word that means ‘marked for prominence,’ but also Ankita is a rare, Indian-inspired beauty. Their linens are inspired by faraway places and the colorways are meant to, "recall ancient cultures and quieter times," making this collection feel so inviting - it's meant to calm, transport, soothe and turn the bedroom into a sanctuary, "Ankita transports a bedroom into a past of spiritual ease." Doesn't that sound just lovely? 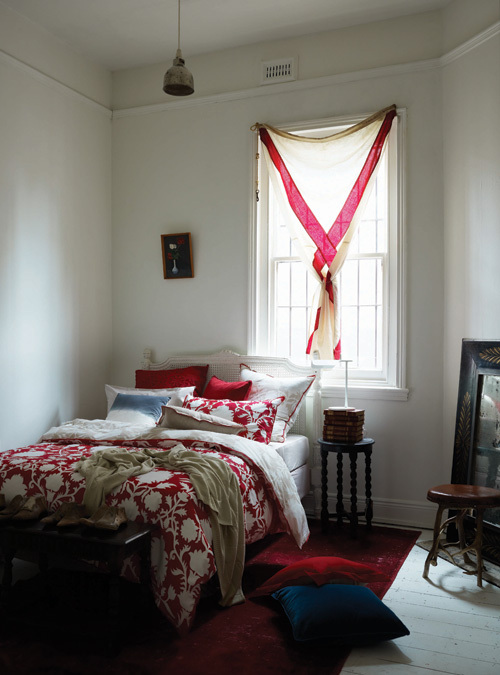 In addition to these photographs above, you can view the entire AURA by Tracie Ellis catalog online here in their flipbook where you will find more bedding in addition to table linens, cushions, fashion accessories and more.